What does the perfect Charlottesville Saturday afternoon look like to you? This fall, it looks like the Freefall Music & Art Festival – presented by WTJU 91.1 FM and the IX Art Park every Saturday from September 2 through October 28, 2017! 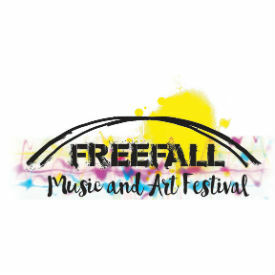 Formerly known as the Levitt AMP Charlottesville Music Series, the WTJU / IX Art Park signature fall events have a new name for 2017 – the Freefall Music & Art Festival. Each family-friendly event in the Freefall series will feature FREE outdoor live music, art, local brews, food trucks, and beautiful fall weather at the IX Art Park, 522 2nd Street SE in Charlottesville. When it comes to free outdoor music in Charlottesville, Freefall picks up where “Fridays After Five” ends – but with a unique and funky vibe every Saturday in September and October at the IX Art Park. The Freefall concert series brings people together through shared music experiences, and invigorates the IX Art Park space right in the heart of Charlottesville. Washington, D.C.,-based band Black Masala will open the concert series on September 2 with its Balkan and funk music inspired brass band energy. The annual Cville Sabroso Festival will also be part of the Freefall series later in September. Learn more and sign up for email updates at wtju.net/freefall2017. The full concert series line-up follows on the next page. All shows 5:00-9:00 PM unless otherwise noted.